Get updates about new opportunities. AtlantiCare’s physician and advanced care practitioner recruitment portal. 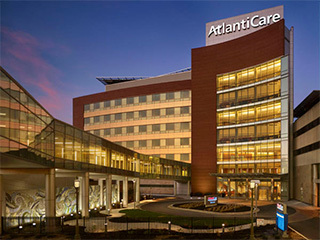 AtlantiCare’s roots go back to 1898 with the opening of Atlantic City Hospital in Atlantic City, NJ. And now we’re a member of Geisinger Health System. AtlantiCare continues to expand with exciting career opportunities for dedicated physicians, physician assistants, nurse practitioners and nurse midwives like you. We have high standards and are continuously looking for ways to work more efficiently. Southeastern New Jersey is quite simply a beautiful place to live and work. You can customize this site by answering a few basic questions. We’ll use your answers to make sure you see content that’s most relevant to you. We recommend personalizing the site to help you find what you’re looking for, but it is optional. At what stage are you in your career?